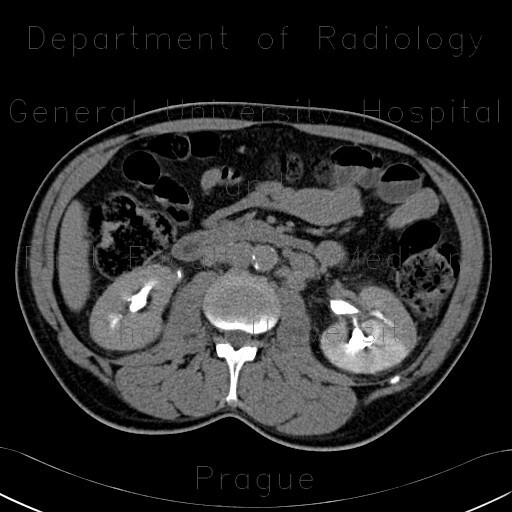 Marked circular thickening of bladder wall, conspicuous hyperenhancement of the lining of bladder, left ureter and left pelvis. The neck of left middle calyx is relatively narrowed causing stagnation of contrast in medulla and cortex - this creates a sharply delinated area of persisting enhancement in the left kidney. Circular irregular thickening of rectal wall, enlarged (infiltrated) regional lymph nodes.